‘World’s Most Liveable City’, ‘Top Destination in Canada’ – Vancouver really knows how to win awards, and it’s easy to see why. It’s got big-city facilities with a friendly, relaxed feel. 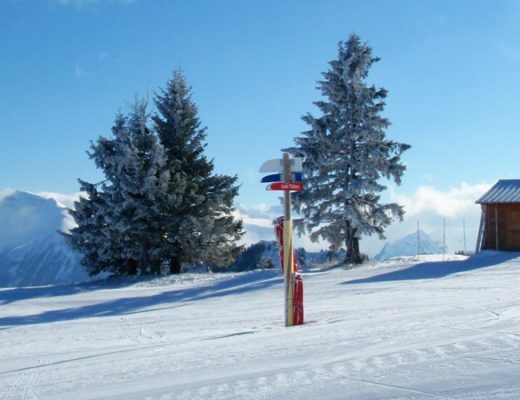 If you love the outdoors you have snow-covered slopes to one side and the ocean to the other. Or if you’re more into the arts you have theatres and galleries, and so many films are made locally it’s been christened Hollywood North. It’s also Canada’s most ethnically diverse city, so you’ll find food all the way from Ethiopia to Venezuela alongside local BC produce and wines. There’s plenty to keep you busy – but I only had one day left before I had to fly home. It was just enough time to get a taste of what Vancouver has to offer and check out two different sides of the city – its food scene and its public art – in two different city tours, on foot and by bike. First up was food, and we set off to eat our way around town with Jenn from Tours by Locals. Jenn is a real Vancouver expert who runs a series of different tours, like a craft beer tasting and a ‘hippie to hipster’ tour of the city’s non-touristy local art, culture and food. 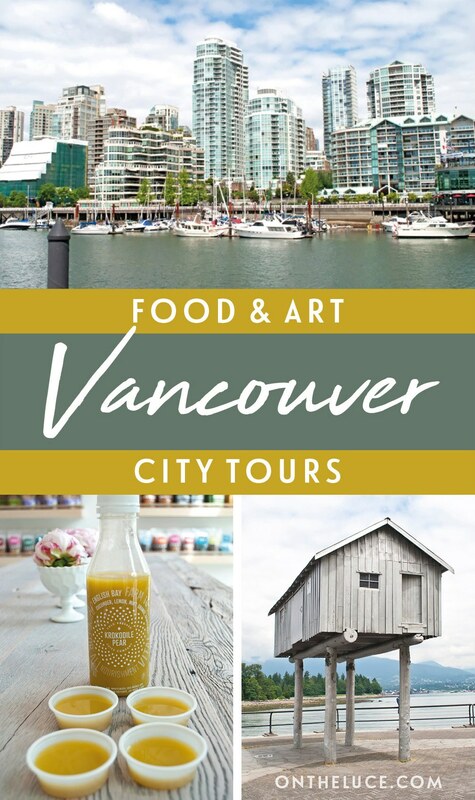 She put together a special mini-tour for us to show the diverse foodie offerings available even within a small area of Vancouver. In between food stops she told us about the neighbourhoods we passed through and explained how the city has constantly evolved. 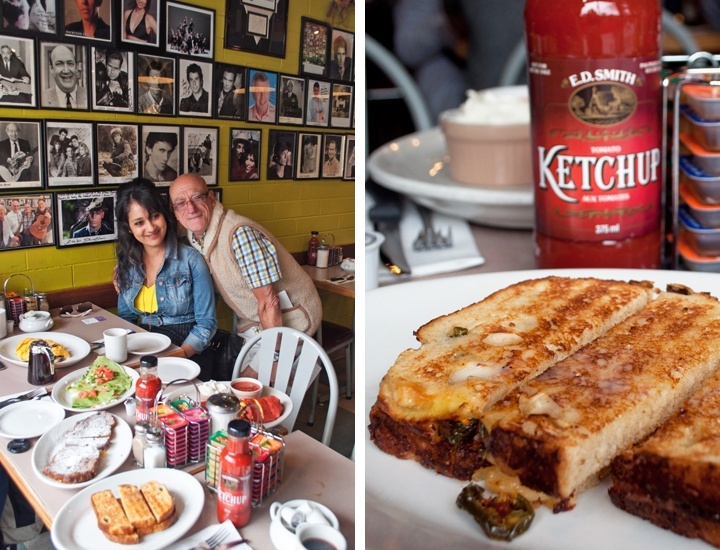 Our first stop was a traditional diner – with a twist. Opened in 1983, the Elbow Room Cafe serves ‘eggs and abuse’ from a diner on Davie Street. Along with its huge portions, you’re liable to get a mouthful of camp put-downs from owner Patrick if you don’t follow the rules (no substitutions, get your own coffee refills). It has a cult following and a wall full of photos of celebrity fans, and they was even a musical made about it – not surprising as it felt like we’d walked into a piece of theatre. Our so-called taster ended up being five plates piled high, including a breakfast burrito of eggs, peppers, ham and melted cheese, and banana walnut French toast. With four more stops to go we had no chance, but were happy to pay the forfeit for not clearing our plates – a donation to Loving Spoonful, a charity providing food to people with AIDS. Already half-stuffed, we were glad to hear that our next food stop would be a bit lighter – trading the traditional for modern, hipster style at Krokodile Pear. 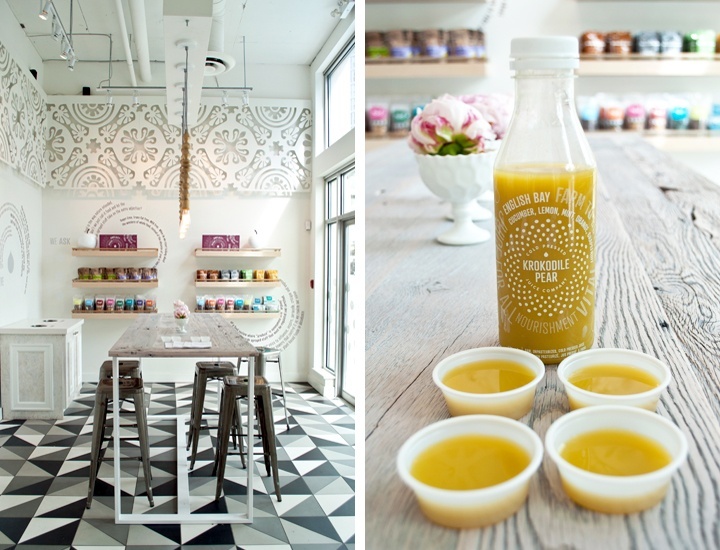 They produce juices using organic, local and seasonal produce from around BC. 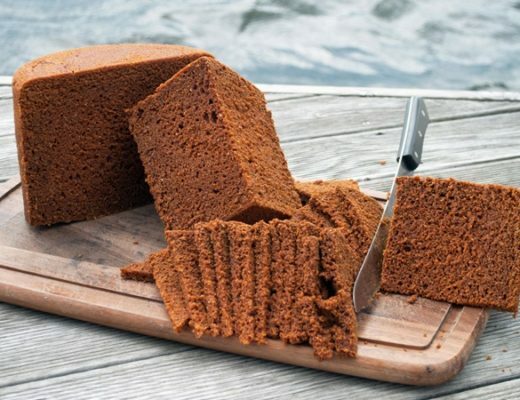 Everything is raw and unpasturised, cold-pressed so the heat doesn’t destroy any of the nutrients or flavours. The shop was straight out of an interiors magazine, with lots of pale wood and black and white floors. We tried a couple of juices, including one of their speciality green juices, but my favourite was the ‘English Bay’ blend, named after a Vancouver beach. Made with orange, grapefruit, lemon, cucumber and mint, you could taste the freshness bursting right out of it. 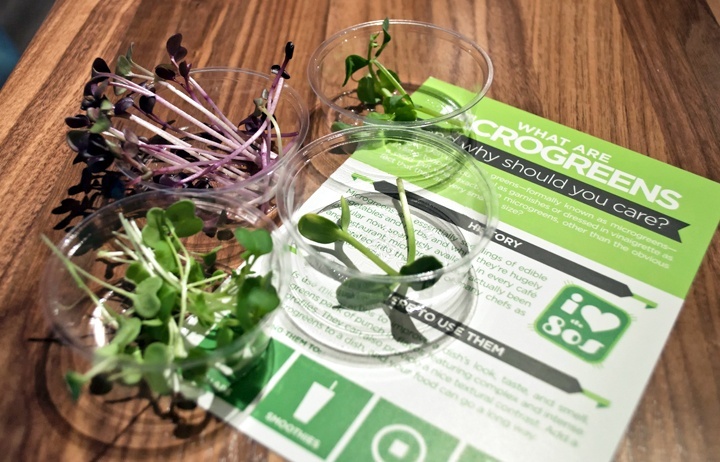 Food is always going through new trends, and one of the latest was the the focus of our next stop – microgreens. These are the first shoots of salad plants, like radish or pea shoots. Looks like we were ahead of our time growing cress at primary school! Urban Cultivator sell special temperature-controlled units so you can grow fresh herbs and microgreens in your kitchen. They grow really quickly and are packed with nutrients. We tried out a few different types, both in their natural form and in smoothies. I loved their ‘peanut butter cup’, with almond milk, bananas and peanut butter along with pea shoots and broccoli. It was incredibly creamy and if I hadn’t seen them put the greens in there I wouldn’t have believed it. 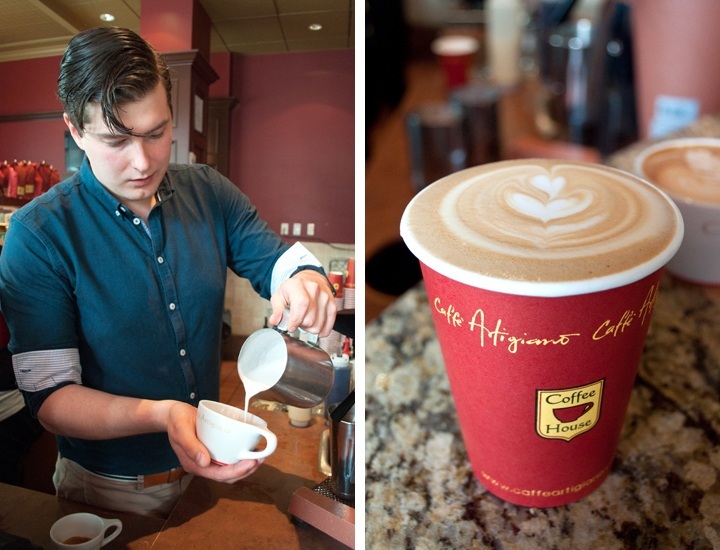 Before it all got a bit too healthy, our next stop was at Caffè Artigiano. Named after the Italian word for artisan, they founded their first shop in 2000 and have expanded across the city and beyond since then. They take their coffee very seriously, bringing in beans from around the world which they roast to form their different coffee blends. We got a lesson in how to make the perfect coffee – including how to make your latte foam into artworks from swans to flowers. Our final stop was another caffeine-heavy hangout, Musette Caffe. It’s a cycle-friendly café where you’ll find weekly group rides and cycle races on the big screen – and the best gluten-free salted caramel cookies I’ve ever tasted. And in case (like me) you didn’t know what a musette is, it’s the name for a small bag used to pass food to cyclists during a race. It was only fitting that after visiting a cycling café we’d get on a bike ourselves next. We said goodbye to Jenn and headed to Cycle City Tours, where founder Josh took us out to explore Vancouver’s public art. Most outdoor art tours concentrate on street art, but this one focused on major artworks funded by the city. 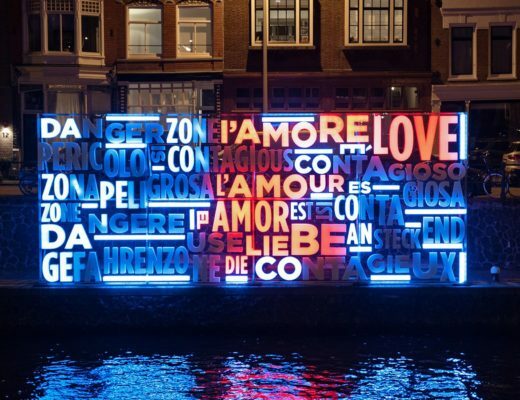 Up to 1% of the budget of a new building can go towards public artworks, so contemporary art is a big part of urban planning. Our first stop in a small city park had us trying to spot the art. But it turns out the park was actually the art, in a piece called Working Landscape by Daniel Laskarin. Four circular platforms with trees and benches rotate at different speeds. There’s 20 minutes (coffee break), 1 hour (lunch break), 8 hours (working day) and 40 hours (working week), so the landscape changes as you work. Our next stop was strictly more architecture than art, but I can never resist a bit of Art Deco (I even got married in a converted Deco cinema). The Marine Building on Burrard Street was built at the end of the 1920s and designed to look like a crag rising out of the sea. At almost 100 metres tall it was Vancouver’s highest skyscaper for 10 years. The front is covered in seaside detailing, with a flock of Canada geese above the door, ships either side and carvings of lobsters, prawns and other sea creatures. Then inside there’s lots of intricate tiling, with signs of the zodiac set into the floor and some beautiful old brass-doored lifts. 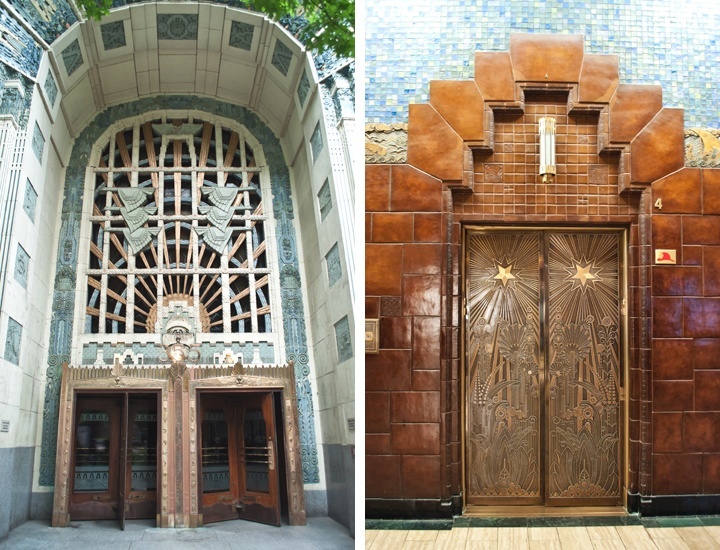 It was so lavish it scared off prospective tenants when it opened and the Great Depression meant much of it was empty for years – though fittingly one of the first tenants was the architects’ firm who designed it. Back on the bikes we headed on to Vancouver’s waterfront, past streams of joggers and seaplanes coming in to land. Among the skyscrapers were two more artworks. 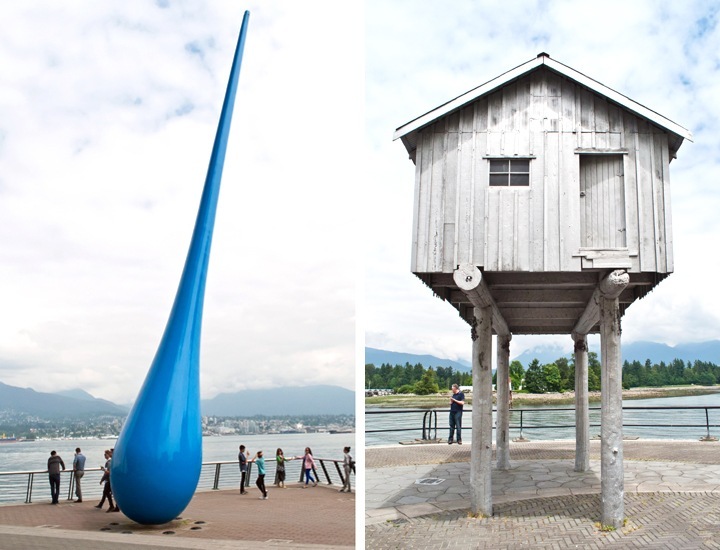 The first was The Drop, a 20-metre-tall steel raindrop about to hit the ground, and the second was LightShed. Based on the old boat sheds that used to line the Vancouver shoreline, this version is made from cast aluminium but looks just like wood, even down to the grain and the barnacles clinging underneath. As we set off on the final straight we passed A-maze-ing Laughter, a circle of 14 bronze figures who are all the middle of a laughing fit. Each piece of art was so different, they made you think, made you feel and made you want to see more – a lot like Vancouver itself. Enjoyed reading about your foodie morning Lucy! I’m back in the city in September – maybe I’ll give the tour a go if I get the time! Thanks Nim, hope you get chance to try it out on your next trip, though make sure to go hungry! You made me hungry! Lots of places I did not get to try in the city. In my to do list for next trip! I made myself hungry! Both were great tours, definitely recommend checking them out on your next trip. 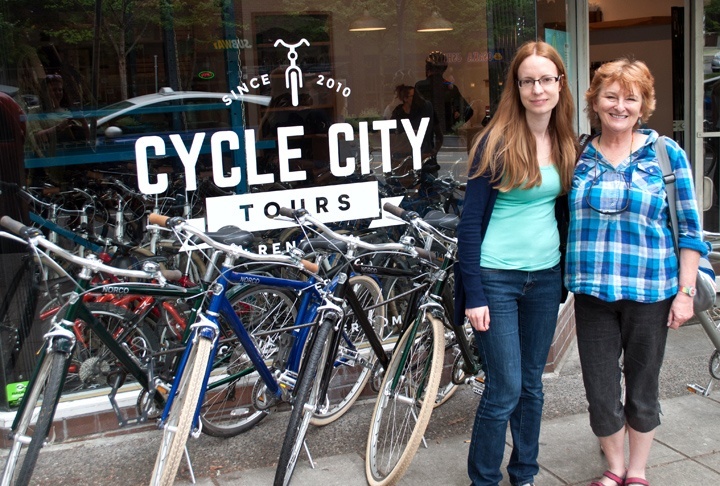 A fabulously written post… Cycle City Tours is best way to exploring Vancouver’s must see places. Thanks so much, Cycle City were great, it’s such a fantastic city for cyclists too. Caffè Artigiano is my absolutely favourite place in Vancouver. What a great way to see the city in a short time. Well documented!! Thanks Darlene, it really was a great way to get a taste of the city – I will be back one day for sure to see more though! Thanks Zoë, it made me very hungry writing it! What a fascinating morning! Love those Art Deco doorways and that ‘drop’ is bizarre. It’s the kind of piece that you can’t make up your mind on – or it is for me at least. The food tour looks fabulous too but I’ve never been on one that wasn’t. How can you not love Vancouver. We certainly packed a lot in! Food and bike tours are definitely a new obsession for me, both were a really great way to experience the city. The Elbow Room was great, so funny to watch Patrick in action (especially when people came in and weren’t expecting it). 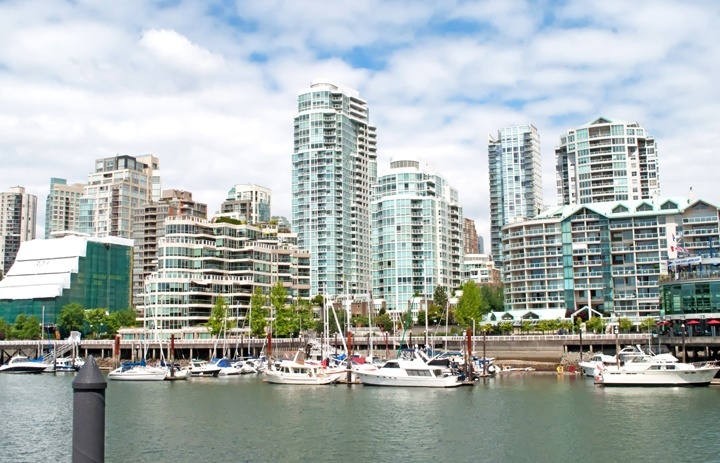 Vancouver is a fantastic city – I’d love to go back and explore more of it someday. Thank you, I love art deco and the food is fab so it was great as a wedding venue. The amount of food on that tour stop was crazy! Even with five of us we had no chance (not if we wanted to be able to move for the rest of the day). Wow! That’s my kind of post – I love the food options you checked out and the ethos behind ‘Elbow Room’. The bike trip was the perfect antidote to all that scrummy food! Yes we needed to burn off a few calories after a morning of eating! The Elbow Room was great – plenty of entertainment to go along with your food! 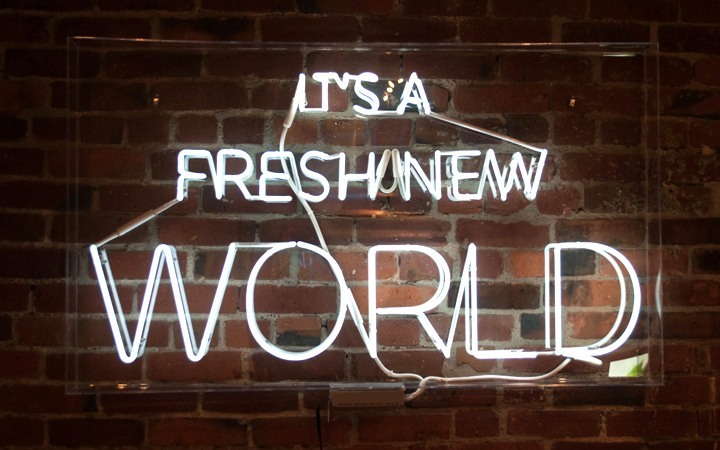 Really interesting isn’t it – such a diverse mix of art types.